Shoshana (Bershad): Very inspiring. I didn't realize before that you knew so little about Chasidus earlier. I'm sure your sincere renewed interest in Chasidus Yiddishkayt gives much nachas (pleasure) to you holy ancestros. Zay matzliach in you inner search! Very insightful and interesting. Thanks for sharing. A Yid: Thank you! You have been one of my teachers, too. Neil Harris: Thanks for the warm reception! Shoshana, a most interesting post . . . may G-d help you even further in your path through life. A Yid: Thanks for the book reference. My "new" cousin in Israel has found several very old books that have genealogical information about R' Raphael. Many of these are out of print or only found in a few academic libraries or in Israel. I think this one, concerning the Degel, will be of special interest to ASJ. Mottel: I really appreciate your good wishes. Thank you. Very interesting. My family came from Bershad, and I have always felt that the honesty of your nacestor left a painful impressin on my soul as it filtered down through over 130 years. I heard one story of how he was asked to testify about a Jew, and struggled all night with G-d as to what he should do, and in the morning his soul left his body. We have a vague tradition of yichus in our family going back to my great-great grandmother Chia Josephson, who presumably was from Bershad. Somehow I had gotten the impression that it related to Rav Nachman of Breslav. I then learned that relatives of the B'esht and Rav Nachum lived in Bershad, as well as descendants of the Malech. I also had found a book about Rabbi Raphael by the Rizenor Rebbe, in the New York Publick Library. I made copies of the first few pages, and have never gotten a complete copy of the book. Do you know what book that is? I recall it said that Rav Pinchus said that he would only be an eruv (guaranteer) about Raphael that he was a Tsaddik gamur! Boruch Fishman: I am very glad to meet another descendant of Bershaders! I did not know that relatives of the Baal Shem Tov, R' Nachum of Breslov, and R' Avrahom the Malach lived in Bershad--that is important information to me! Do you have more information on their names or when they lived? Were any of them related to R' Raphael also? I am trying to find out more about R' Raphael's descendants. The book you mention may be "The House of Rizhin," by Rabbi Menachem Brayer (http://www.artscroll.com/Books/RIZH.html). The sample pages on the Artscroll web site show that the book describes many of the great leaders in the world of early Chassidism and gives information on the Rizhiner Rebbe's descendants. I have not actually seen this book, but I will try to find it. 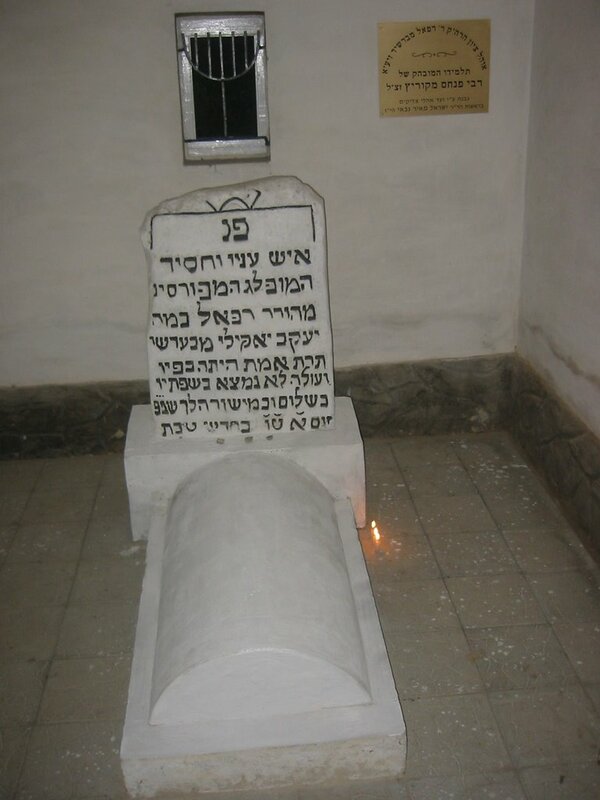 Today (15 Teves) is the yahrzeit of Rebbe Raphael of Bershad! How fitting that we are remembering him today! “Once in a town in Ukraine, a Jewish man was accused of committing a capital crime. The judges who were hearing the case reviewed all the evidence for and against the man, but in spite of careful investigation, they couldn't decide the case. They decided that if two well-known tzadikim (holy people) who lived in the area would swear under oath that he was innocent, they would acquit him of the crime. “The two holy Jews who were asked to swear in court were Reb Moshe [Tzvi ben Shimon, b. 1775, d. 1838] of Savran [about 25 miles southeast of Bershad] and Reb Raphael of Bershad [b. 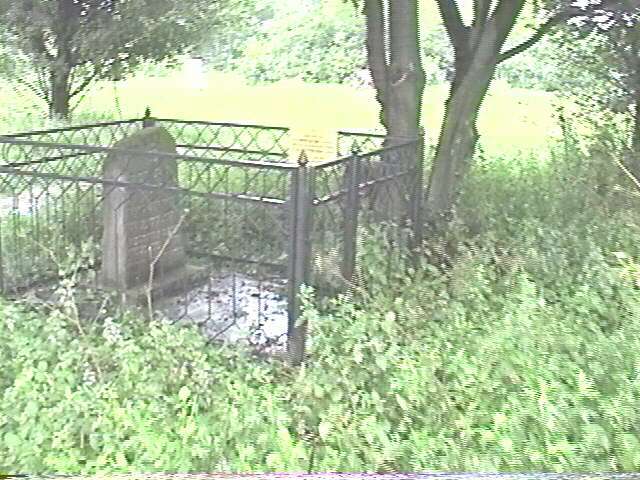 ~1751, d. 15 Tevet 5587 (1/14/1827) at the age of 76 years]. But they were in a terrible dilemma: swearing a false oath is strictly prohibited in Jewish law, and is a grave sin. On the other hand, the saving of a life takes precedence over every other mitzva in the Torah. Isn't it said, "He who saves a life is as if he saved the entire world"? “Reb Moshe of Savran deliberated long and hard over the question, and he finally reached the conclusion that saving the life of the man and the future of his wife and children took precedence over the basic tenet of truthful testimony. And even if he were wrong in his conclusion, he was willing to suffer whatever punishment awaited him in the Next World, as long as his fellow Jew escaped death. “For Reb Raphael the decision was not just difficult, it was utterly torturous. Reb Raphael was a loyal disciple of Reb Pinchas of Korets who taught that truth was the entire basis of the Divine Service. He had devoted his life to this principle and had never allowed even the slightest hint of falsehood to enter his thought or his conduct, even to the point of not wearing dyed clothing, thus disguising the color of the fabric. “His other, most dominant, characteristic was his total love of his fellow Jews, his willingness to sacrifice his every possession or comfort in order that his fellow Jews be spared any suffering. How could he possibly resolve this terrible conflict? “Reb Raphael sat in his study immersed in the most confounding, painful and tortured thought. On one hand, there was a possibility of saving the man, his wife and his children -- and the wife and family of the accused gave him not a moment of peace. But on the other hand, he couldn't bring himself to do a thing from which he had distanced himself in an entire lifetime of spiritual struggle. “The basis of his whole philosophy was that falsehood was the source of all impurity in the world, and truth, the wellsprings of all that was holy. Now, at this time in his life, was he to repudiate all that he believed in? A vision of the man, his wife and children at the mercy of a cruel justice stood before his eyes, while his belief in the primacy of truth consumed his thoughts like a blazing fire. “Finally, he could stand it no longer. Reb Raphael broke out in a piteous wail that came from deep within him, and he could not stop weeping. "Master of the Universe, You alone know how I have striven with every fiber of my being for the sake of truth. You know I have been willing to make every sacrifice, and now, in my old age You have brought this terrible trial to me. I beg You to take away my soul, and not let me fail this test!" “He wept and wept until his soul departed from his body. Please let me know if that sounds like the right book. I am trying to obtain a copy. I just now discovered this thread of my lost relatives. My great-Grandfather, Moshe-Mordechi Bodnar, was a great-grandson of rabbi Raphael from Bershad. He escaped the Tzar military draft, crossed the border into Romania, the shetel of Mihalleni-- in his last years he lived in Jerusale, and is buried on Mount Olives. I just also posted on the other blog, because I would like to know how we might be related. My uncle who died last month in Israel said that my great Saba Bodnar was also the great-grandson of R. Pinchas from Koritz- but I am not sure about that. (on my husband's side- related to rabbi Yeshayahu Ish-Horowitz, sheni mluhot ha-britand other great Zadikim. born in Bershad and his family were hasidim of R. Refoel M'Bershad. of Cherson. His son-in-law was R. Aron Shapiro. 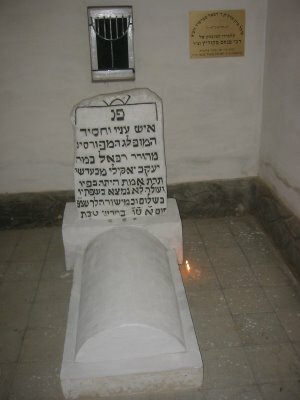 Two of his close friends were Tolner and Manestrishter Rebbe. My colleagues, Jeff Briskman, Susan Steeble, and I are about to embark on a Y-DNA study of Rabbi Raphael of Bershad's lineage, with the objective of identifying his Y-DNA genetic signature. If we are successful, his paternal descendants will be able to verify their descent from him, even in the absence of a complete pedigree or paper trail. We would very much appreciate your input as we prepare to embark on this Y-DNA study. Please feel free to contact us at your earliest convenience. You will find our other Y-DNA studies of the Shpoler Zeida, the Katzenellenbogen and Polonsky rabbinical lineages, and the Twersky and Savran-Bendery Chassidic dynasties at: https://independent.academia.edu/JeffreyMarkPaull. Yes, I believe that is the book. I went to the library and xeroxed it. In moving to Israel, some of the pages were lost. I still have not found (now 2018) the specific connection to famous rabbis my great aunt talked about. However, I did a genealogy search with Ancestry.com and Jewishgenealogy.com and discovered I share chromosome segments with many holy rabbinic families. I also matched with people with the last name of Bershad, but don't know what to make of it.